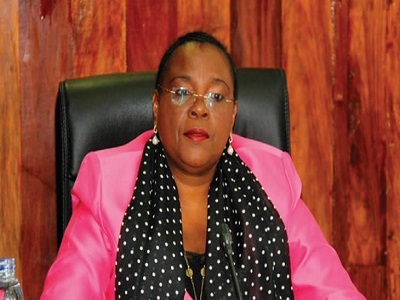 Mozambique’s Minister of State issue warning to Public Managers over project abandon by contractors. Contractors on state project is refusing to complete it in Mozambique. This comment was air by the Minister of State Administration, Carmelita Namashalua. Meanwhile, According to the minister, the contractor has receive 100% of the money in the contract. According to the Minister, some of the contractors did not finish the project while some did half before leaving it. She also said that it is affecting the community as the contractors has defraud the state. During a meeting in the central province of Zambezia, Namashalua, she said public managers will be held responsible. This is because they fail to comply with the terms of the contract. Meanwhile, the terms for the contract was to hire contractors base on the principles of the legislation. Carmelita Namashalua cited to projects on Zambezia district of Derre. She said the contractors receive about US$117,000 for a project that should have be finish in 2016. The Minister also said that the district need state facilities to respond to the concerns of citizens. She also said that the district government should ensure that the money to pay for the building is issue out in instalments, and never in a lump sum. Is this one of Africa’s problem when is comes to infrastructure and what is the way forward towards making sure that stuff like this don’t continue. Let’s hear your take in the comment section below. Click here to see other related articles.